Candidates with a passion for excellence, expertise in Residential Finance and proven leadership experience are invited to apply for a career with Four Seasons. Candidates must have a firm knowledge of the local financial regulations with regards to Residential and speak Thai as well as being fluent in English. The Purchasing Officer will work together with Storekeeper to ensure that all incoming merchandise is dated, priced, and rotated in all circumstances. Work together with Storekeeper to ensure that all requisitions are filled in a timely basis in accordance with Storeroom hours, and the requests of outlets. Extend all requisitions on a daily basis. Works on perishable and non-perishable ordering. Ensure perpetual inventory for all liquor is kept current and variances are at a minimum. Ensure cleanliness of all areas, keeping food storage area in strict compliance with health code regulations. Take note of Slow Moving Stock list at least once each month. Must be able to perform all duties such as buyer, store, stock take. Adhere to 3 quote comparisons. Ensure monthly update on all F&B quotes, all quotes are filed for audit accordingly. 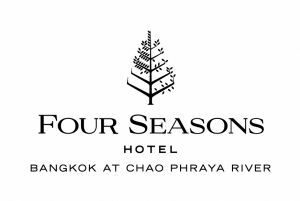 Conduct self in a professional manner at all times to reflect the high standards of Four Seasons Hotels. Perform any additional duties as assigned. The ability to maintain a clean, neat and organized work area. The ability to work harmoniously and professionally with co-workers and supervisors. The ability to perform other tasks or projects as assigned by hotel management and staff. Candidates must have a firm knowledge of hotel operations and have previous experience in purchasing. Must be able to speak Thai as well as being fluent in English. Must have the right to work in Thailand.